Betta when I got back). half inch of gravel on the bottom. Water temperature is 80 degrees. what's left although I haven't gravel vacced yet. 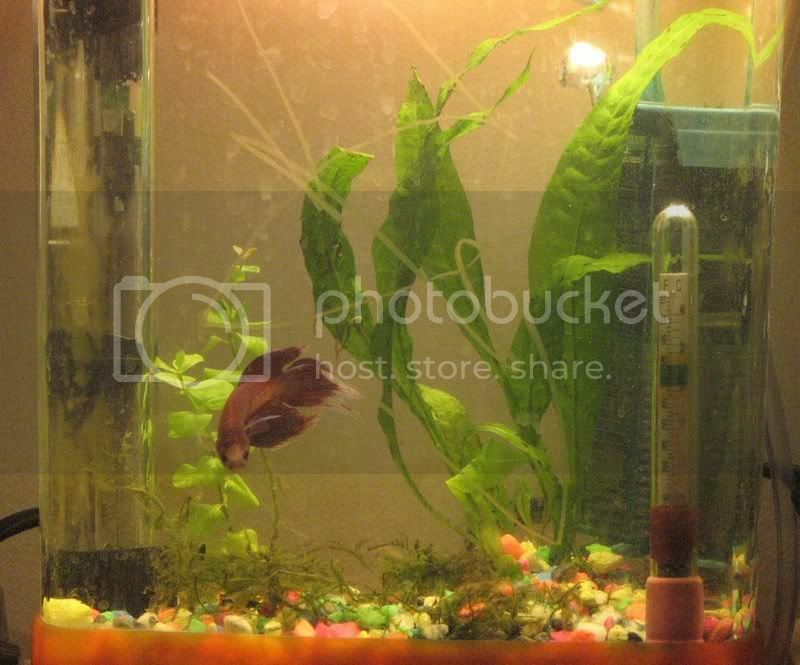 choices for a small Betta tank? Egeria densa is a warm water counterpart. I use java moss in small betta tanks, occasionally small crypts. day later, added some Java fern, and gone ahead and introduced the betta. I'll second that! Lovely picture, too.